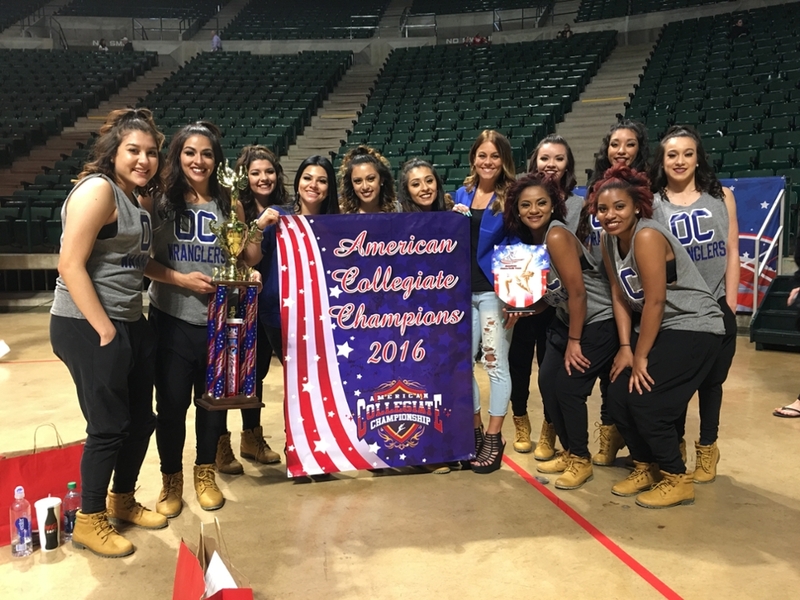 This past weekend, the Odessa College Dance team traveled to the University of North Texas in Denton, TX to compete in the 2016 American Dance Collegiate Championships. The competition consisted of Division I, II, III, NAIA, and Two Year Colleges from all across the country. The OC Blues performed both jazz and hip-hop routines where they competed against other Community Colleges and Division II teams. The Wranglers finished 5th runner-up in their jazz routine, but brought home the National Championship with their hip-hop routine. This is the first ever National Championship won by the OC Blues. Three years ago, Kristi Gray took over the dance program and this is the first time under her leadership that the OC Blues have gone to a National competition. “I have to give these young ladies a lot of credit for practicing every morning at 7am. It’s not always easy waking up that early, especially when there were times we would get in at two in the morning from being on the road with the basketball teams,” said Coach Gray. The team started learning their choreography for their National routines back in December, over their Christmas break. Choreographer Tori Sandate and assistant coach, Belle Gutierrez, worked endless hours with the team teaching them their choreography. “These two young ladies have worked extremely hard and put in extra hours on their days off to achieve this outstanding accomplishment. I can’t thank Belle enough for the time and dedication she put in working with this team. We wouldn’t have been able to bring home this Championship without her,” Coach Gray said of Gutierrez’s work. Congratulations to the entire OC Blues Dance team and coaching staff on this amazing accomplishment.